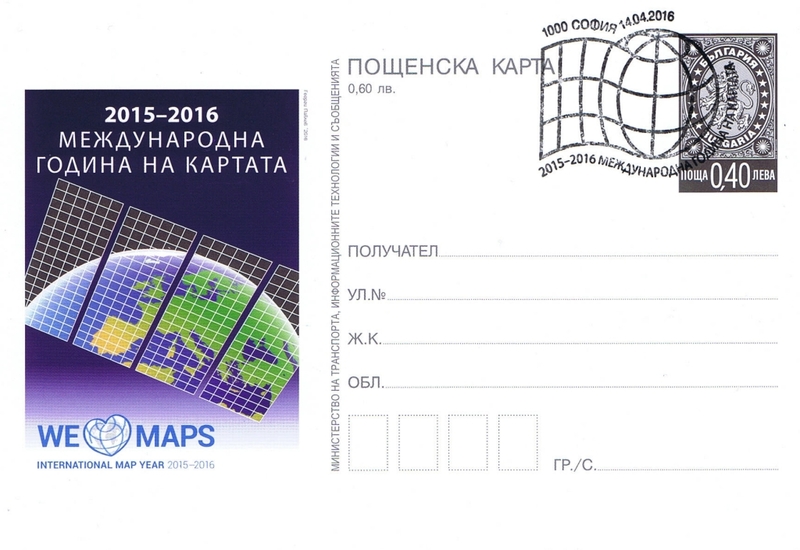 On 14 April 2016, at the Museum of Communications in Sofia, Bulgaria pictorial postcard entitled “International Map Year 2015–2016” was put into use. The card was officially validated by placing the first postage stamp by Deputy Minister of Ministry of Transport, Information Technologies and Communications Mr. Valery Borisov, President of the Bulgarian Cartographic Association Prof. Temenujka Bandrova and artist of the post card Mr. Georgi Pavlov. 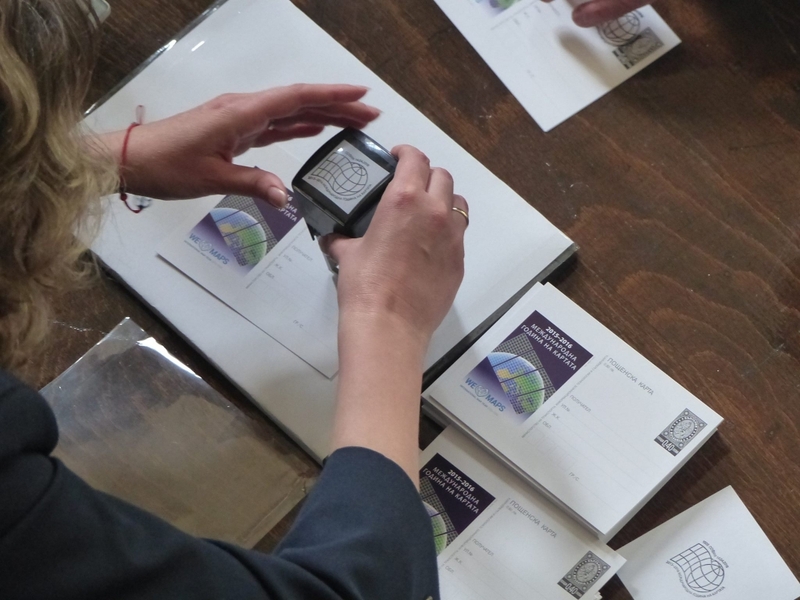 Bulgarian Cartographic Association initiated an event with the invitations to its members, guests and philatelists who had the opportunity to acquire the unique post edition – the first of its kind in the world dedicated to the International Map Year 2015–2016. Official validation of the IMY postcard by Temenujka Bandrova, Deputy Minister of Ministry of Transport, Information Technologies and Communications Mr. Valery Borisov and artist of the post card Mr. Georgi Pavlov.